This is a story about Nancy, and her journey from the UK to France. It’s a story of compassion, effort, human kindness, mutual support, teamwork and bonding. And, ultimately, crossing both a metaphorical and literal divide. Someone once advised me to do something every day that scared me. I’ve since adapted it to mean ‘take yourself out of your comfort zone every day’ (or at least regularly), which is infinitely achievable. We also have a little habit in our family – to be helpful to others. The last thing I say to our smallest children when I drop them at school each day is: Be Kind. Usually also ‘I love you’ or ‘Have a good day’, but mostly: Be Kind. Small, random acts of kindness could change everything for the recipient, without you knowing. If you take time to be kind, you could make someone feel – just for a moment – like they’re the most important person on earth, and it could make the difference between a good or bad day, hope or despair. If we look beyond our own comfort zones, there’s a whole world out there that might need our help. Everyone has a story, and whether we know it or not, we might be able to help make it better. At the moment we’re witnessing the tragic displacement of millions of people fleeing war and oppression. Recently xenophobia and far-right racism have been given a warped sense of credence by the political situation in the UK. But we have so much, we cause so much, we should be duty bound to at least help. Inactivity is almost always as damaging as perpetration. If we make like ants and work with others we can at least try to make it a little better between us. Nancy Wake is a 1930’s Dutch Barge, with a Mercedes diesel engine, a shallow draft and a lot of guts. She is home to my friends Jon and Anna, who usually potter about on the London waterways, having a fairly serene life. But in February they spent a week volunteering at the L’Auberge warehouse and Calais kitchens – and they knew they wanted to do more. Set up in 2015, L’Auberge co-ordinates three main areas of assistance: food preparation and distribution, donations collection and distribution, and building shelters. They help to support the main Jungle in Calais and the new camp in Dunkirk, and others around these, routinely distributing food in an impressive display of solidarity and volunteer will-power. 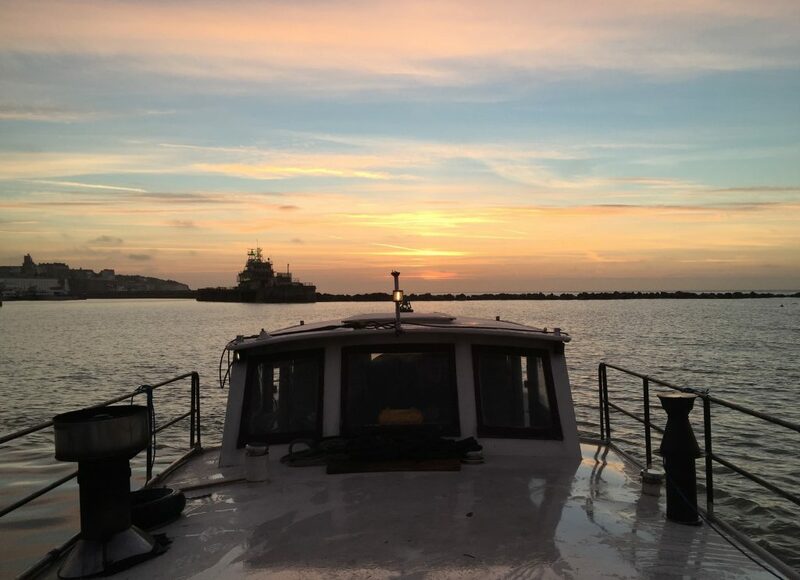 To return for a longer period of six months, Jon and Anna very sensibly reasoned that the most cost-effective way of accommodating themselves was to carry on living aboard Nancy – just 110 nautical miles away from where they normally do. The echo of Operation Dynamo has been mentioned more than once, when 700 privately owned boats – later known as the Little Ships of Dunkirk – sailed across the Channel in 1940 to rescue allied troops stranded on the beaches of Dunkirk. Only this was just a group of friends, taking themselves out of their comfort zones, in an attempt to help other people. 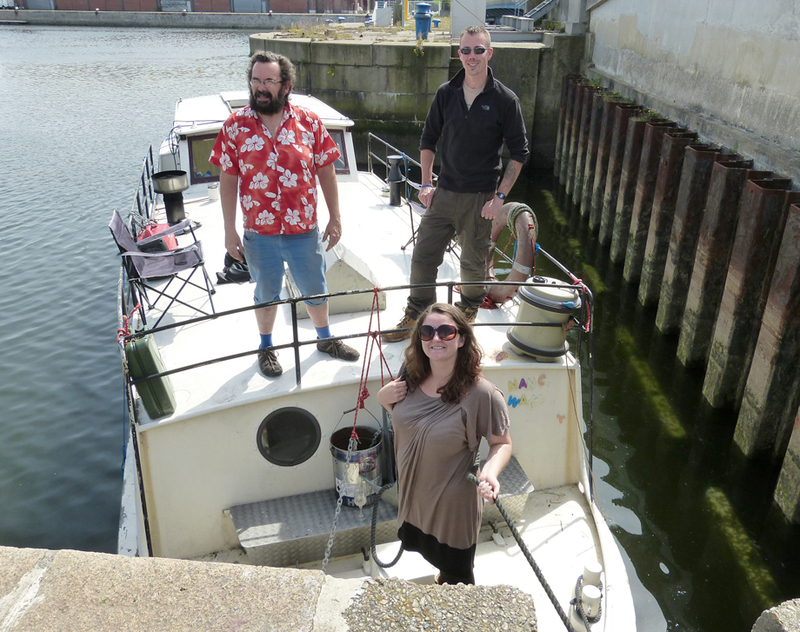 With Lee experience as a skipper and Chas along as engineer, we were a small crew but perfect for Nancy’s size. She has crossed the English Channel before – once, before Jon owned her – but let’s imagine for a moment: that seed of a brilliant idea acknowledged, accepted, applauded, fund-raised and planned…. Flash-forward to the moment when your volunteer crew of friends begin to arrive and you realise you haven’t got a clue how to read your newly-purchased nautical charts. This is not going to end well. “Why…?” people asked next. Because we can, because we should, because my crazy friends have had this crazy idea, and because it sounded great (and crazy) and because I couldn’t help myself and I offered to help. What I saw was this: two people who wanted to make a difference not only to countless numbers of people they don’t know, but also to help the other volunteers already out there. The volunteer network in Calais is awe-inspiring. People go down for whatever time they can spare, be it a day, a week, a month or sometimes longer. The regulars there are welcoming to newcomers – that they give out the same training each day to different folks and still keep the same smiles shows their dedication. It’s either freezing cold in winter, or furnace hot in the summer, but the common goal makes for an upbeat atmosphere. In March I saw the devastation caused by burning the Southern part of the camp clear, yet we were welcomed with smiles and took tea with friendly residents in their shelters, shared their biscuits. Last week the authorities announced they intend to clear the Northern sector, the remaining half of the camp. This week when I was there, riot police descended in a display of ‘health and safety’, confiscating food from the many little cafes that have sprung up through the camp, arresting the refugees who run them. What will happen next is anyone’s guess. Such is the power of the media to close the curtains and let the populous believe the world out there is a different place. More people arrive there every day, desperately in need of help. Refugees have been in Calais for many years, but were moved to the current land on which the Jungle stands early in 2015. Within a few months – as refugee numbers grew – so the grassroots projects of volunteers grew too. At its largest, I believe the Jungle has been home to over 7,000 refugees. The latest census showed there were 5,000 people still living there, despite the clearance of the southern part of the camp, now squeezed into the remaining northern area. With more people arriving in the camps every day at the time of writing, there are a number of nationalities represented there, including Syrian, Afghan, Iraqi, Pakistani, Eritrean and Sudenese. During the period where large areas of the camp were bulldozed this year, 129 children went missing. Disappeared. With no official organisation monitoring the situation, no-one knows what’s happened to them. 129 children unaccounted for. But beyond Calais, over one million people have reached Europe looking for safe refuge. Say only about 2% of those end up in Calais: on the one hand we’re not exactly being ‘swarmed’, and on the other hand…. wow, that’s a lot of people needing help from a lot of other countries, not just the UK or France. 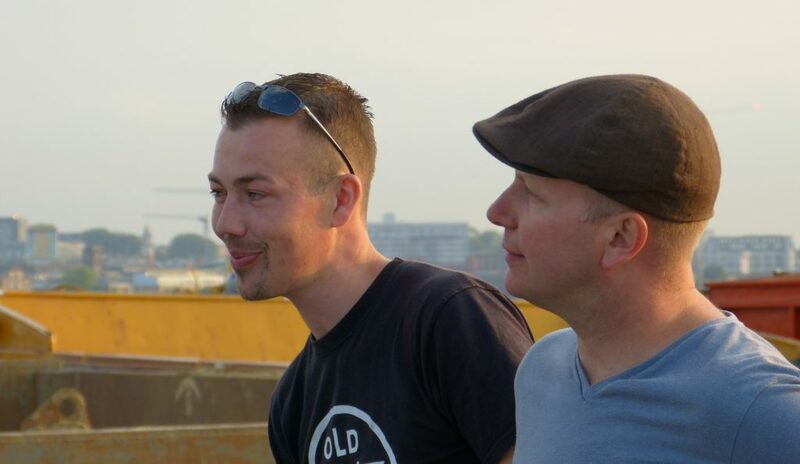 Everyone had different reasons for making this boat trip; Chas doesn’t like seeing friends adventure without him, but more seriously he also wanted to experience the situation in Calais for himself, and carry some of that experience home with him to share with others. Anna felt cross and helpless, believing “people deserve to have full bellies, dry heads, a bed, access to hygiene and a little kindness. This is a way to help provide those things, Because they’re essential.” For her it was a surprisingly simple decision. Jon’s reasons for making the trip were born from a similar sense of responsibility and compassion, and the knowledge that he could utilise his skills to help. Lee recognised immediately that this was a special trip and its purpose struck a chord with him. We had to lock-out of the rather humorously named Bow Locks (even better: there are two of them) before the tide turned, then find somewhere on the Thames to moor up overnight. And it was unlikely to be anywhere accessible from shore. Unfortunately were missing three essential things: Chas, his anchor, and Lee. Chas had already been refused by one cab (concerns about an anchor and 40m of chain, strangely), so getting him to us was proving tricky. Trickier still was Lee’s journey. Having to abandon his original plans to leave his motorbike with a friend on the South Coast, we suddenly needed to find him somewhere secure in London to leave his bike for three days. Time was ticking, and tide – as they say – waits for no man. Even if that man has got the anchor or knows how to drive a boat properly. For Jon, Anna and myself, suddenly months of (their) planning seemed precariously in the balance. It was at this point – and I remember the crystal clear instant when the three of us looked at each other as we all thought: ‘Ah’ – that we wondered what on earth were we doing. In over 25 years, I’ve never seen Jon look so worried. After a moment’s hesitation I declared I was “on it” and phoned my friend Rebecca; helpful to all and a can-do kind of girl. She coxes for The Ahoy Centre and Trinity House, and knows the Thames pretty well (she’s the one who’s rowed across the Channel umpteen times). 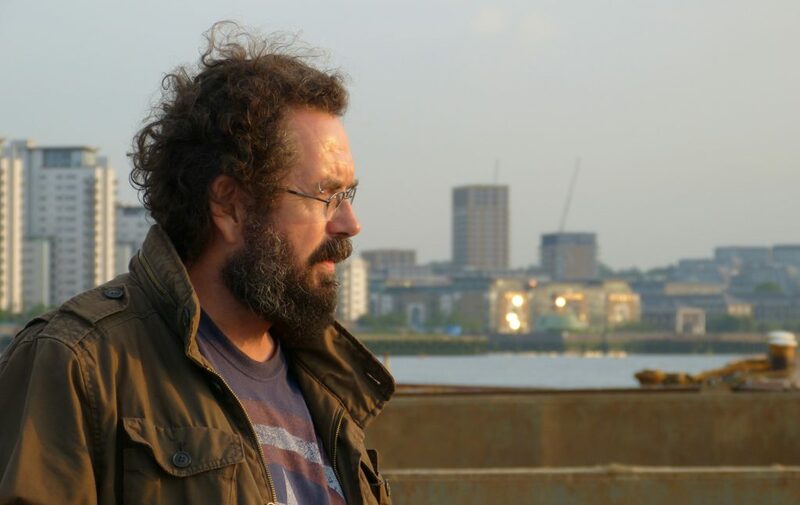 Several phone calls and an anxious wait later, we had Lee on-board and a night’s mooring alongside a London Port Authority barge on the Thames. Beccy’s epic Treasure-Hunt-style run whilst talking to me on the phone trying to sort all this out was legendary. She might not have come on the actual trip, but at that point she became part of the essential Support Crew. 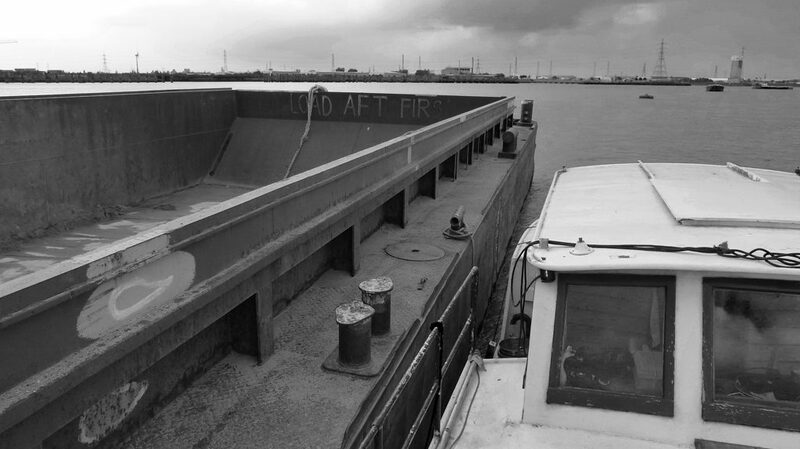 That first evening, moored up alongside a rusting, empty barge in the middle of the Thames (eternal thanks to the PLA), we properly came together as a crew. Precious time to connect properly – crucial when you need to rely on each other in a risky situation – and it gave us time to finalise our plans for the next day. Note that this was the point Jon (bless him) slightly overestimated Nancy’s speed and our fate was sealed for the next 24 hours. 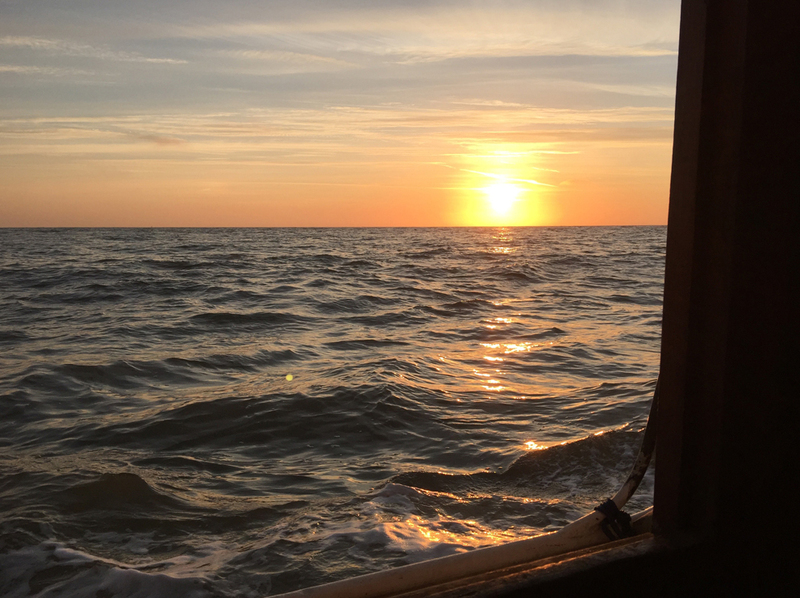 We set off at 5am to carry the tide out of the Thames as far as we could, hoping to sling-shot round to Ramsgate with the tide. 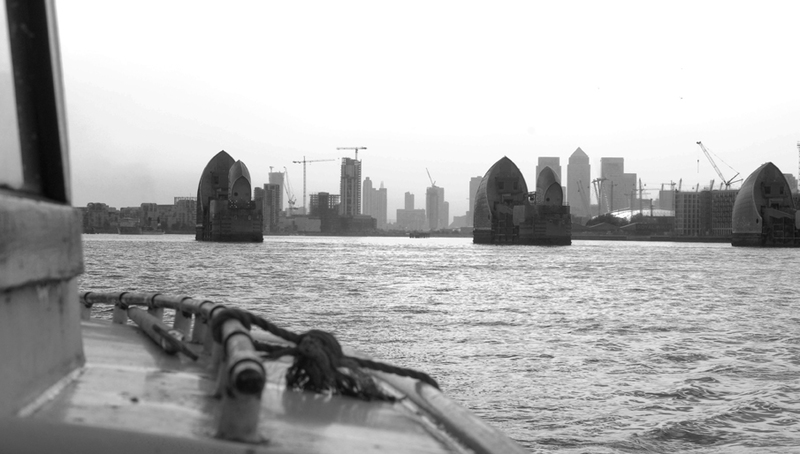 The Thames Barrier and the Queen Elizabeth Bridge look dramatic from the water, but the highlights for me were going past the wind farms out in the estuary, and the Redsands Towers. 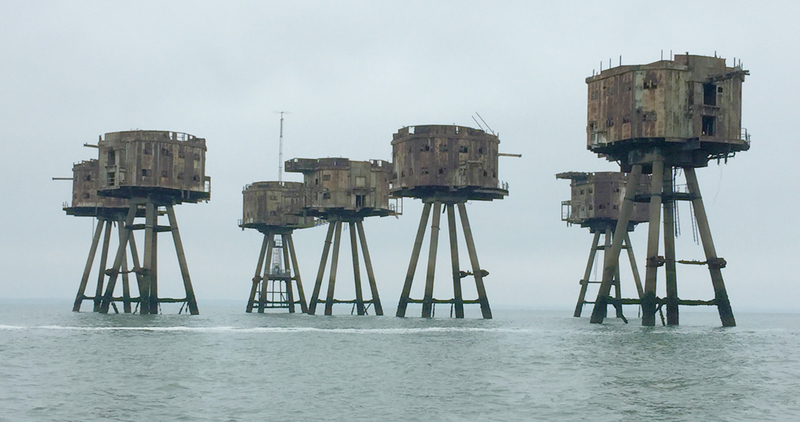 Built during the Second World War to protect the estuary, these Maunsell towers are even more striking in real life, and rustily eerie. But get round to Ramsgate we eventually did at 7pm, bearing in mind we could see Margate for about three hours before we got past; 2.5 knots is horrendously slow-going. Deliriously imagining some kind of Mediterranean Valhalla in the gathering dusk, Ramsgate never looked so good. 1)	We’d been naïve to think we might have made the entire voyage in one day. 2)	How utterly tired we all were. 3)	We had another obscenely early start to deal with. 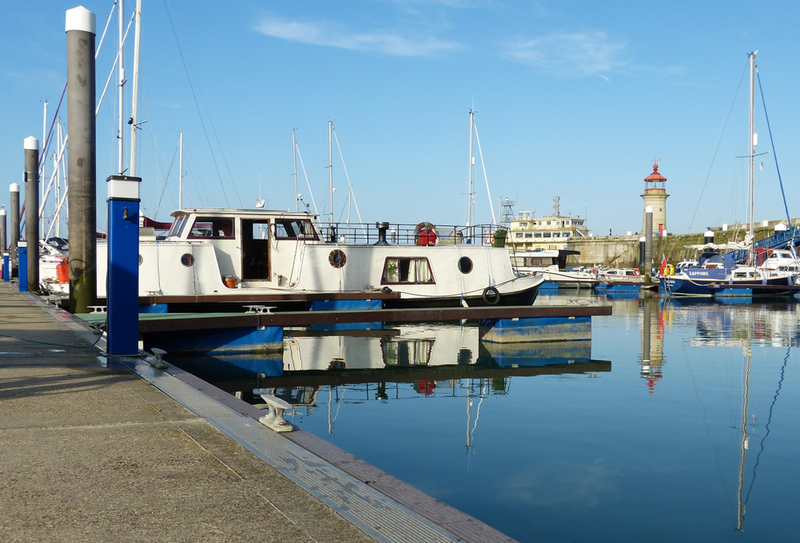 Ramsgate harbour is lovely by the way. And it looked even more beautiful the next morning at 4am. So, alone at that heavenly time of the morning, under a blood-orange sky, we quietly chugged out of Ramsgate and turned towards Calais. We felt very blessed that our actual crossing of The English Channel was calm, the weather good. No dramatic storms or villainous chop; frankly, we had an excellent day under the circumstances. Queasy, but manageable. We saluted Dover’s famous White Cliffs as we passed a way offshore, then at the Southern end of the Goodwin Sands we struck off East towards Calais. Dover Straits and the shipping Lanes are… wide. With a cheer as we passed the Mid Channel Point, I finally felt like we might actually get Nancy to France safely. Spirits were high as we came within sight of Calais – we’d made it. Nancy was still chugging nicely, not bad for an old girl. In honour of my own children and all those little ones who aren’t so fortunate, we flew my five-year-old’s kite behind Nancy as we motored along the coastline towards the Port of Calais. But whatever glow of unity we felt in getting Nancy to France, the heart-breaking reason behind it remains. Even this week as I wrote this, there were announcements from Calais authorities that they intend to bulldoze the rest of the Jungle. Food is being confiscated, small make-shift businesses shut down, people arrested for apparently no reason. How much more trauma can these people take? We teach our children to help one another; and at the end of the day we’re all just children with grown-up trousers on. I’ve previously tried to explain why we need to help refugees with one simple analogy. If your neighbour knocked on your door one night and said they’d been burgled and were now terrified to go back in their house, would you shut the door and turn them away? Imagine your street as the world, each house a country. How is that so different? It’s simple humanity, just common decency. There are a huge number of Jon and Anna’s support network – friends and family – that I haven’t met, people who helped them fundraise and plan, gave them encouragement and backing. I’d like to take this opportunity to say an enormous thank you to all of them – with you behind them Jon and Anna had the courage to carry out their crazy plan, and I know our little sea-going team feel privileged to have been a part of it. They quite literally put everything they own on the line to help other people. It’s beyond selfless and I love them for it. I went to visit Jon and Anna in Calais this week, taking aid down to the warehouse with other volunteers. It was insanely hot in the warehouse, in the kitchens, outside, in the shade, in the camp itself – everywhere. We were there to help for such a short time, but these folks are there every day. Sometimes morale takes a dip. And satellite schemes like the Refugee Community Garden Project offer welcome relief. In their down-time, volunteers can recycle the large empty food cans from the kitchens by painting them and planting them up with flowers or other shrubs. These are then distributed amongst the residents of the camp – therapy for both sides. When I thought I’d lost all the photos and footage I’d taken on board (stomach-in-mouth moment), Jon declared: “We’ll do it again!”. But Nancy Goes To France is like watching a film with an astonishing twist – there can only be one First Time. That’s not to say Nancy Come Home won’t be just as immeasurably fulfilling as her trip out there. When Jon and Anna have finished their time volunteering, and have to go back to the reality of proper jobs and responsibilities back in the UK, we will gather our little cosmic-crew once again and bring Nancy home. If you want to donate directly to Jon and Anna’s fundraising, find out how here. To donate to the Refugee Community Garden Project, go here.